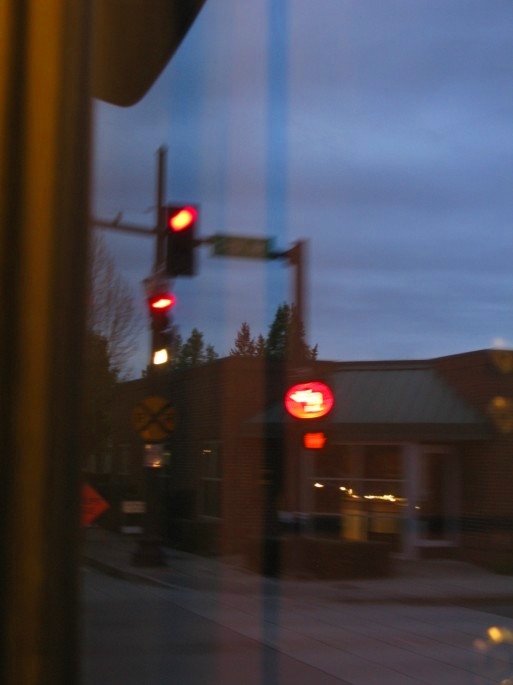 Another post about signals… this time the rail kind. I thought about this while writing the last post, because this is sort of like a literal signal boost. 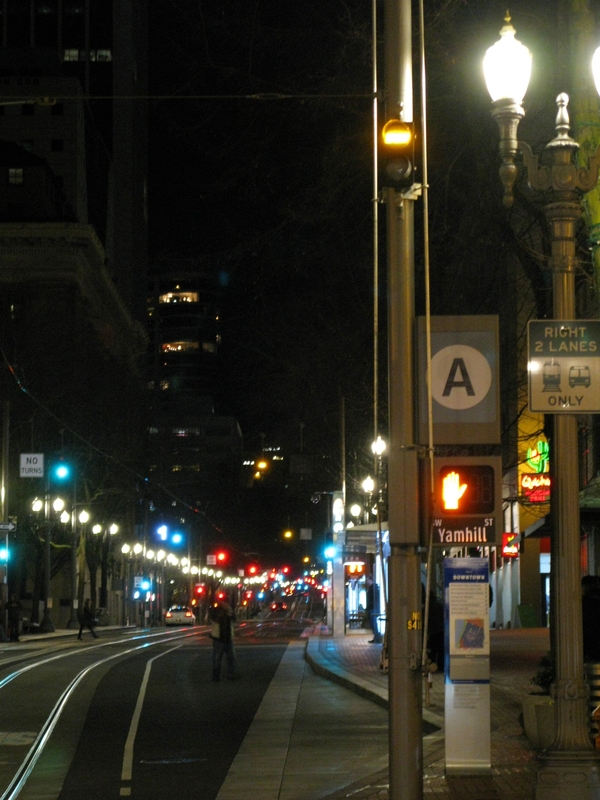 There are two signals on the Banfield between Lloyd Center and Hollywood TC that function differently from the rest of the signals on the alignment. These signals (34R and 36R) are repeater signals. 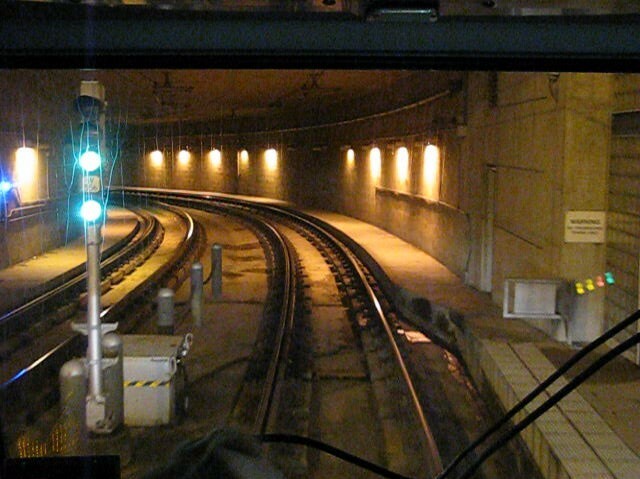 They “repeat”, or display the same aspects, as ABS signals 34 (eastbound) and 36 (westbound) respectively, but are positioned slightly ahead of the signals they repeat because those signals are around a curve. 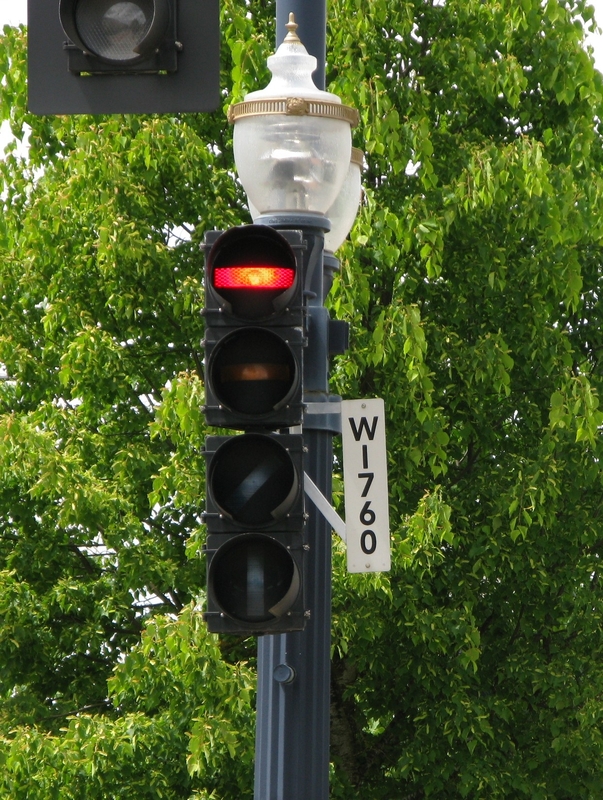 Signal 36R (westbound). Signal 36 is located around the curve ahead, back-to-back with signal 34. The speed limit through here is 45 mph, so due to the limited visibility with signals 34 and 36 being on a curve, it would be difficult to stop a train in time if those signals were red. 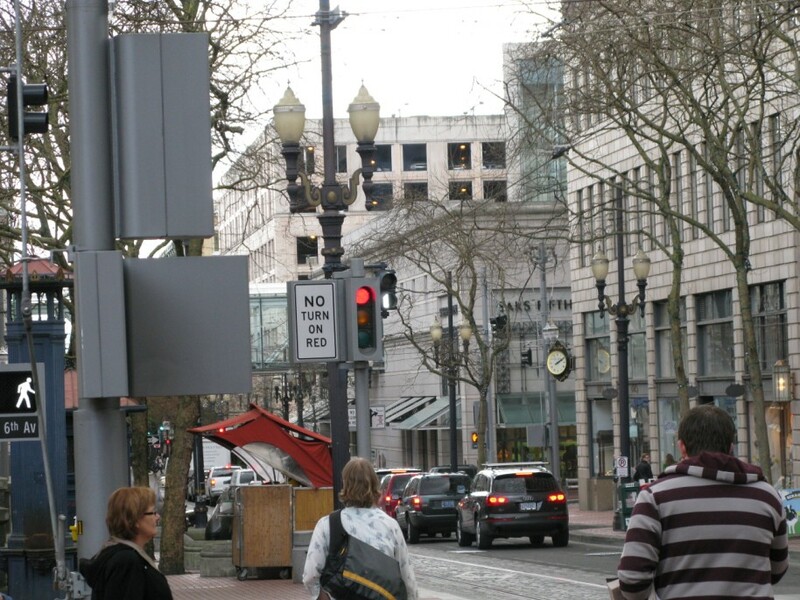 The repeaters give advanced notice of what aspect those two signals are displaying so operators can act accordingly and stop if necessary. Notice how there are no ATS magnets near the repeater signals, but you can see the ATS magnet (it looks like a small box between the rails) in the picture for signal 34. 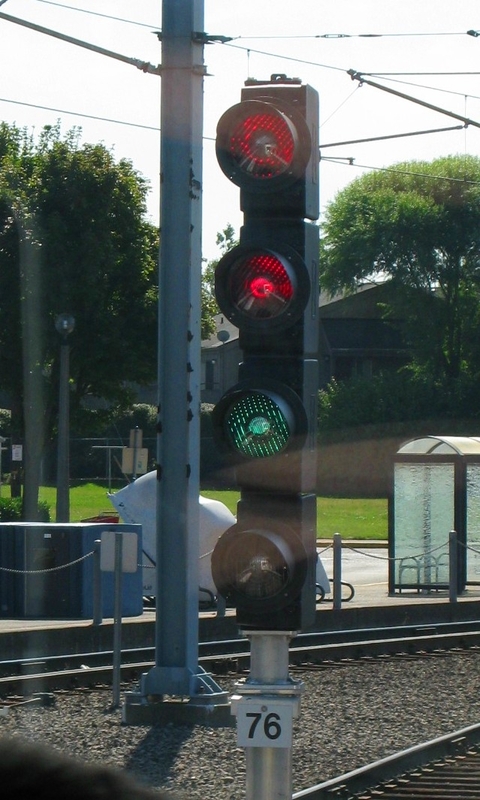 Going through a red on 34R or 36R won’t automatically bring your train to a stop, however, you still treat like all other red signals and stop your train prior to the repeater if it’s red. And if you run a red on a repeater signal and then trip the signal after it, I believe that counts as two rule violations for going through two red signals (which I’ve never done..). When train movement on one track is not available, a manual block is used to move trains on the adjacent track. 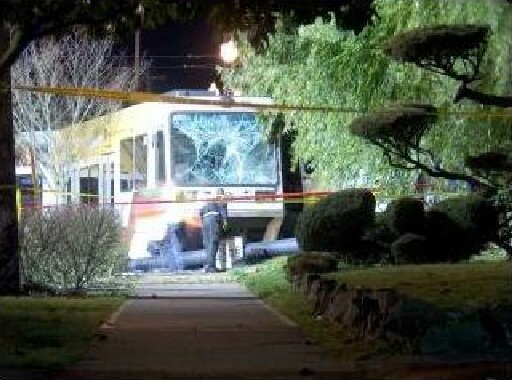 This could happen because of planned maintenance, or it could be done in the event of an accident/emergency situation. 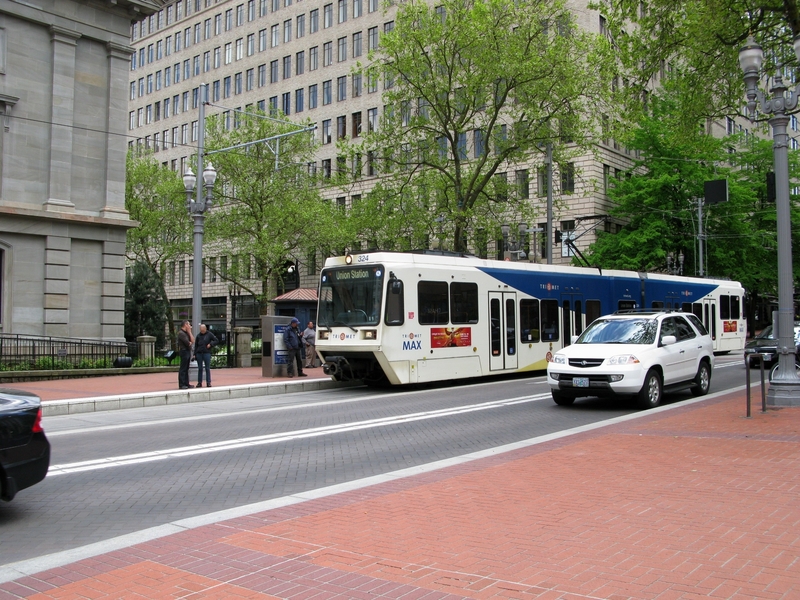 In a manual block, Control directs train movement in both directions on the track that is in service. Manual blocks will have associated train orders. 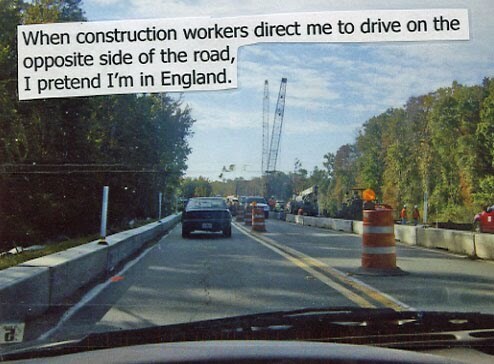 You’ve done the equivalent of a manual block in your car before if you’ve gone through road construction where only one lane is open. For cars in that setting, there’s a flagger at each end of the construction area that lets a number of cars through and holds oncoming traffic from entering the single lane, and then they switch to let cars from the other direction go through. 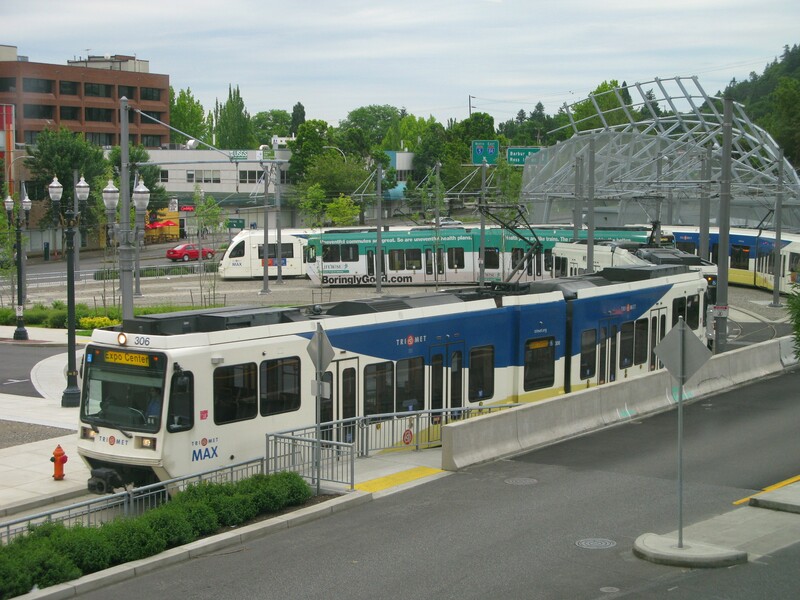 A manual block for trains is essentially the same idea – Controllers and supervisors coordinate to govern train movement into a manual block, alternating between trains running normal traffic (e.g. east in the eastbound) and others running reverse traffic (west in the eastbound). 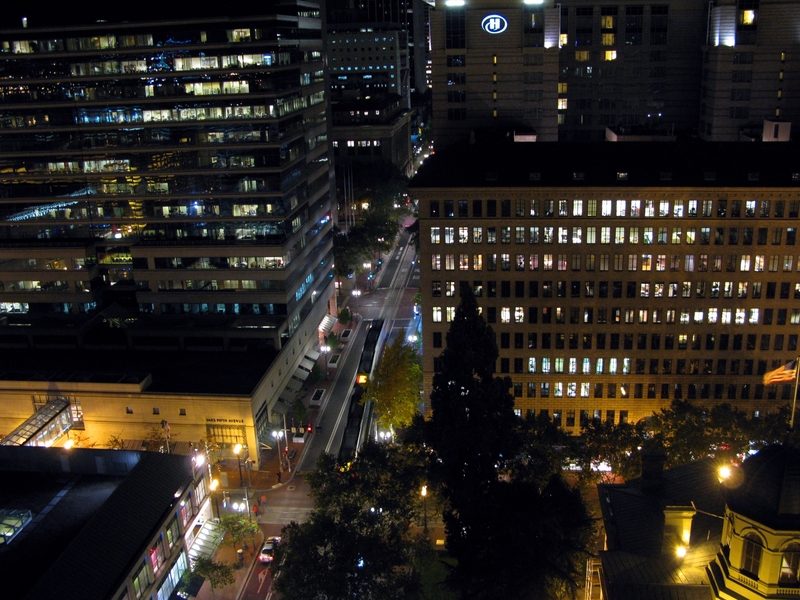 Running reverse traffic is not the same thing as backing a train up. 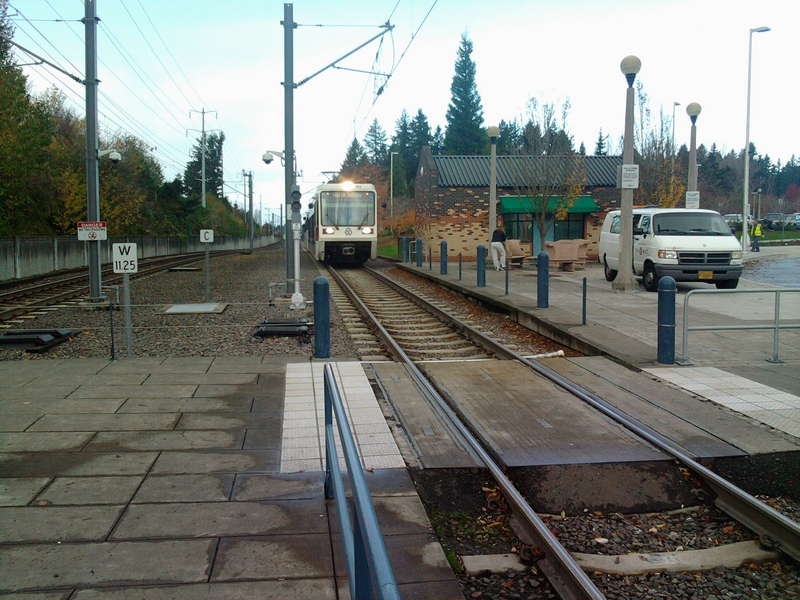 An operator backing a train up (such as in the case of uncoupling a train car) can’t see in the direction that the train is moving – this is why backing a train up is almost never done. 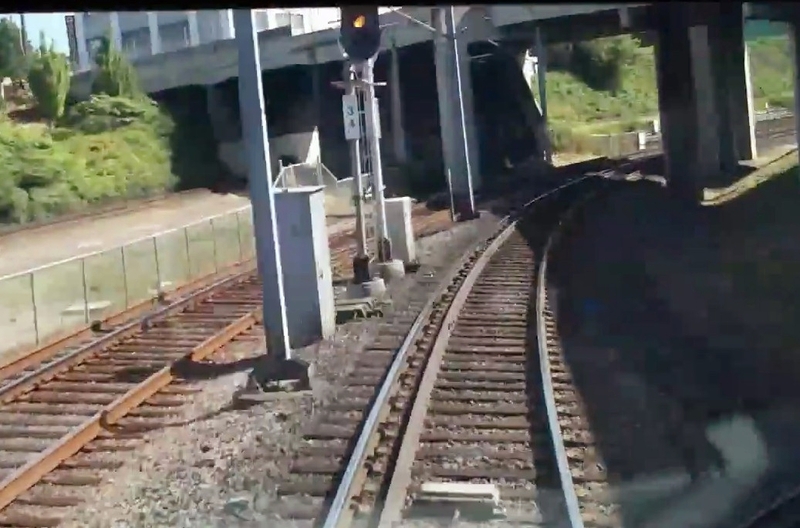 When an operator is running reverse traffic, they face in the same direction as the train’s movement, but that movement is in the opposite direction of what the track they’re on is typically used for. There are a number of rules that govern running reverse traffic. 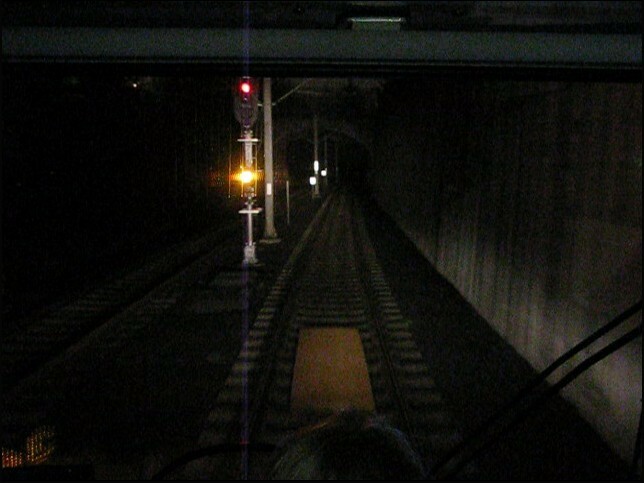 First, it’s always done at restricted speed (the lesser of 20mph or the posted speed and always at a speed that the operator can stop in half their sight distance) whether or not it’s part of a manual block, unless you’re in the tunnel. 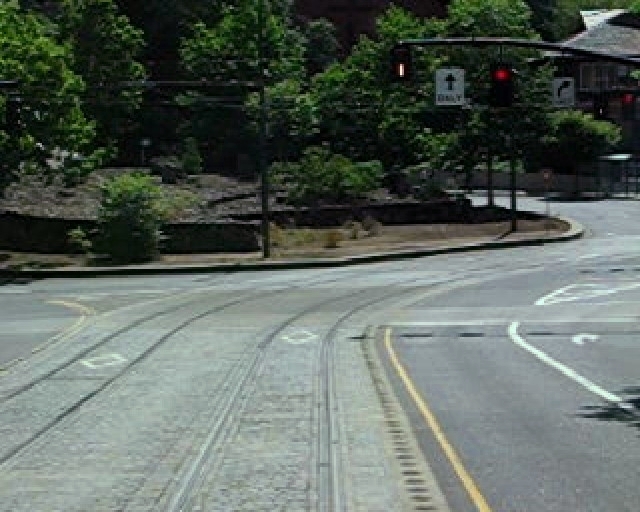 Because the tunnel is signalized in both directions, trains running reverse can operate at the posted speed limits which are about the same as normal speed limits, though trains going west in the eastbound bore will exit the tunnel much slower than normal traffic because they will be diverging into the west portal pocket track. Other areas of the alignment that are signalized in both directions are already single track, e.g. 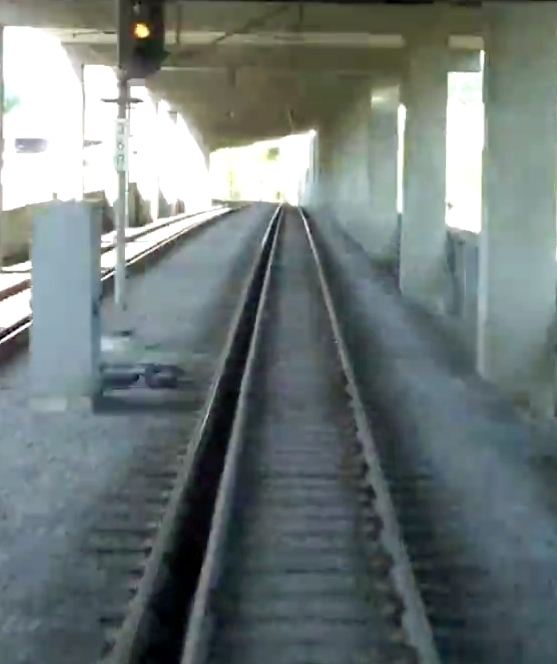 the “fishhook” for the Red Line at Gateway, so travel in both directions is normal. While running reverse, operators will also have to stop and observe every set of switch points to ensure they are properly aligned. 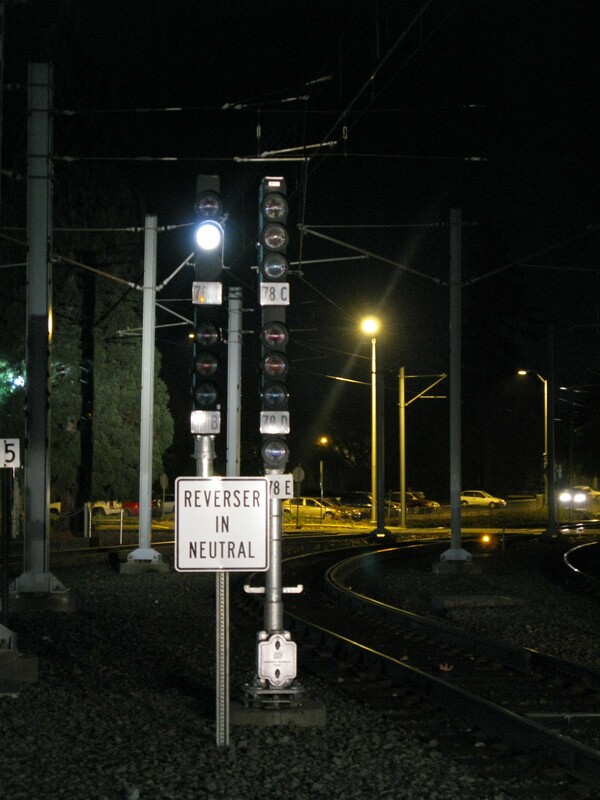 In ABS territory, running reverse traffic is where dwarf signals come into play – they protect mainline power switches while running reverse traffic. In other words, the ATS magnets associated with the dwarf signals are active for trains going the “wrong way”. 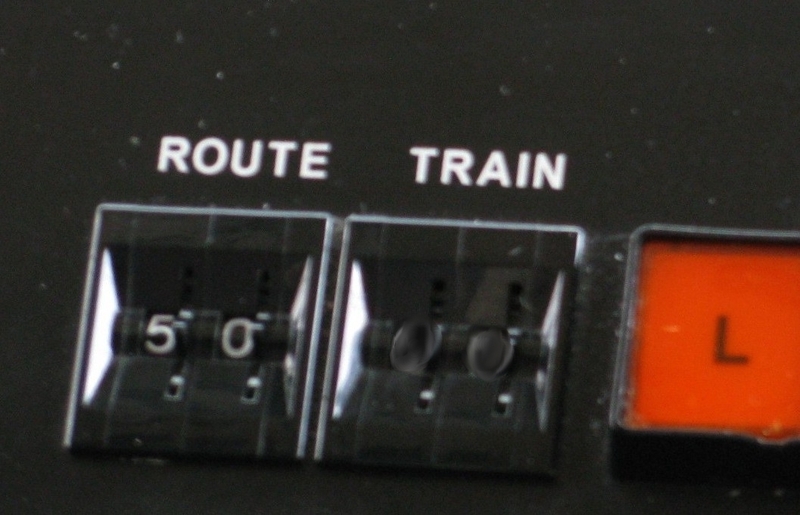 Operators will have to key-by these signals (this is done from the operating console in the train cab) after calling Control. This gives the operator 23 seconds to move the train past the ATS magnet without tripping. 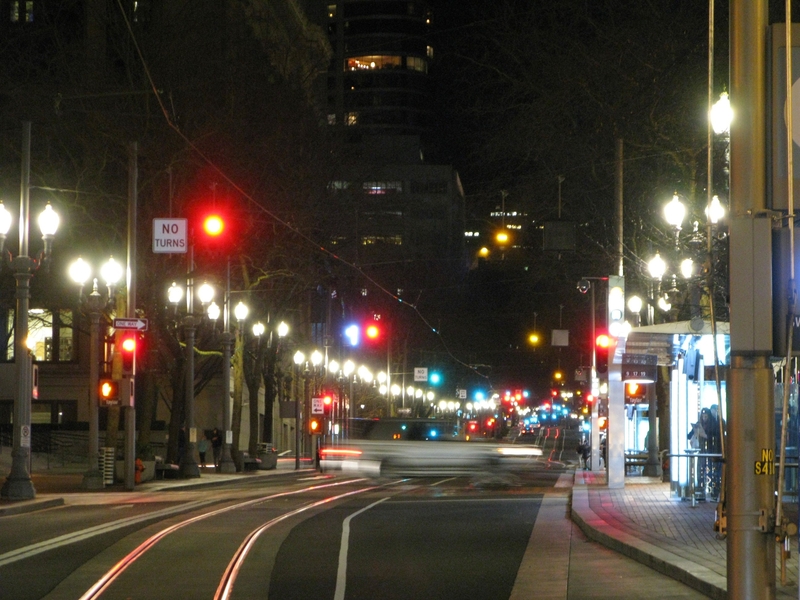 On Burnside, operators running reverse traffic will have to SOP the intersections since the mass detectors are only for normal traffic. 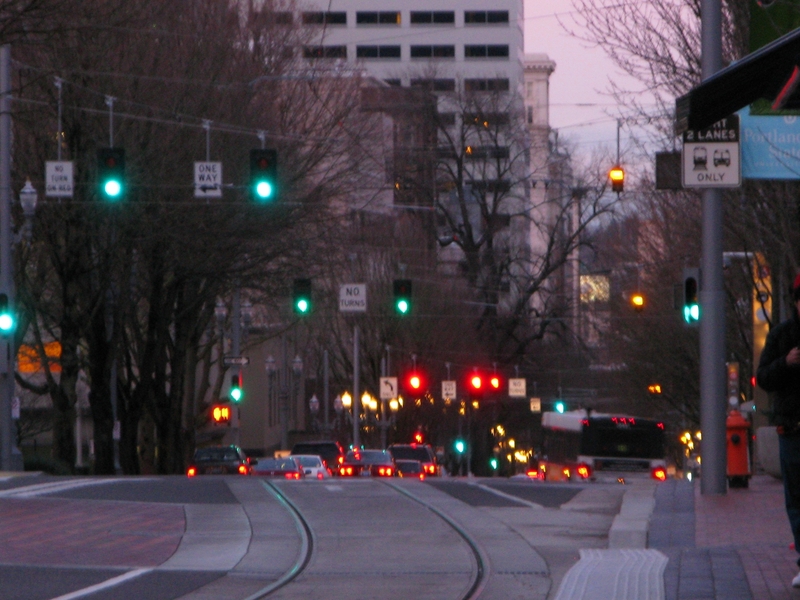 If the reverse running on Burnside is part of a manual block, the train orders associated with the manual block will include instructions to SOP intersections within the block. 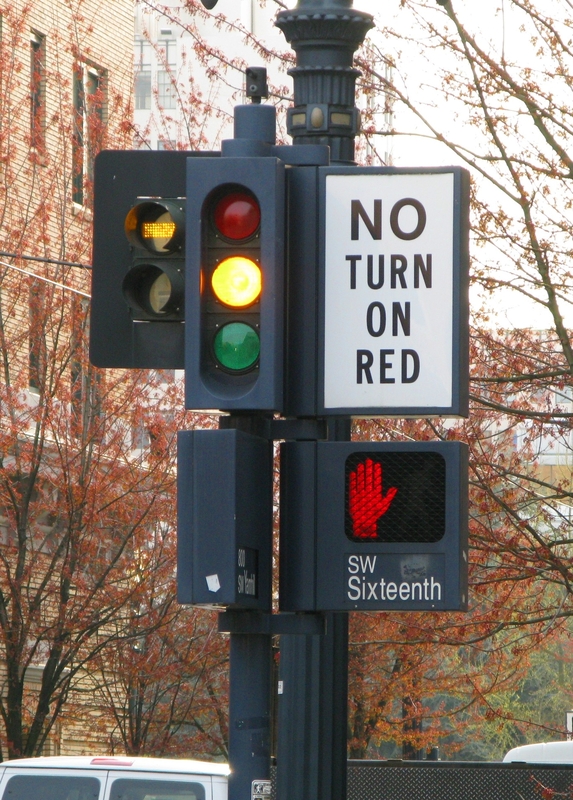 So operators will not need to call Control for permission at those intersections, but otherwise the process to SOP them is the same – stop, wait for fresh parallel green and walk signal and red left turn signal, sound horn warning, and proceed when safe. 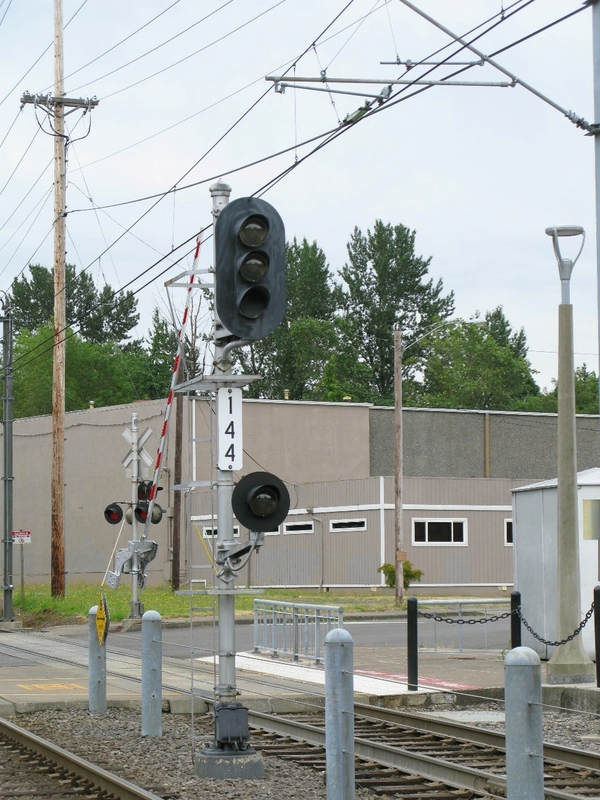 You may have seen these stop signs at gated intersections or in places where the view is obstructed by a substation building – these are for trains running reverse traffic since people are not likely to expect a train from that direction on that track. Gated intersections are also handled differently when running reverse traffic. 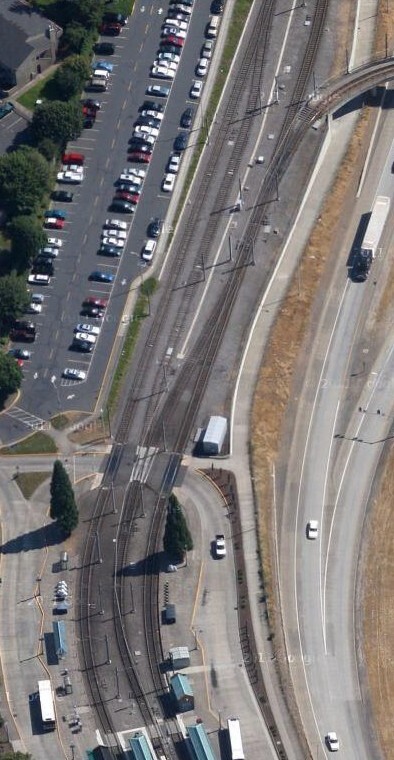 When running normal traffic, the gates are lowered either by a call loop if the platform is right near the intersection (such as the above picture of Elmonica/170th) or when the train enters the approach circuit as it approaches the crossing gate for gates that are not near a platform. There is another circuit that extends 10 feet on either side of and through a gated crossing called the island circuit. When the island circuit is shunted, it will lower the crossing gates if they weren’t already lowered – you won’t notice this running normal traffic since under normal operations the gates will be lowered by the time the train gets there, but when a train is running reverse traffic, it uses island circuits to lower the crossing gates. 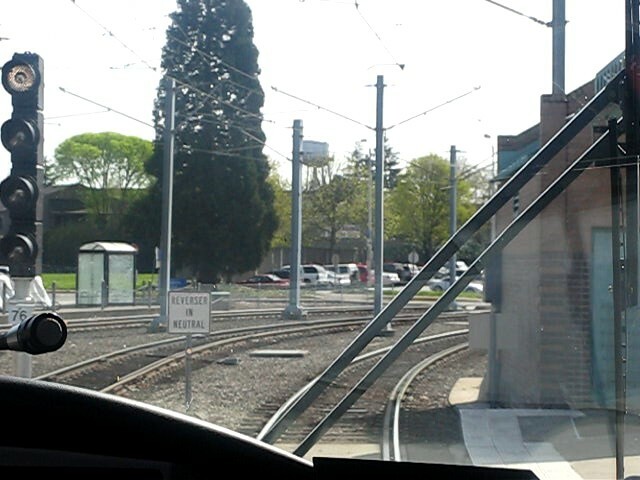 The operator will wait until the gates have been fully lowered for 10 seconds before proceeding through the intersection. 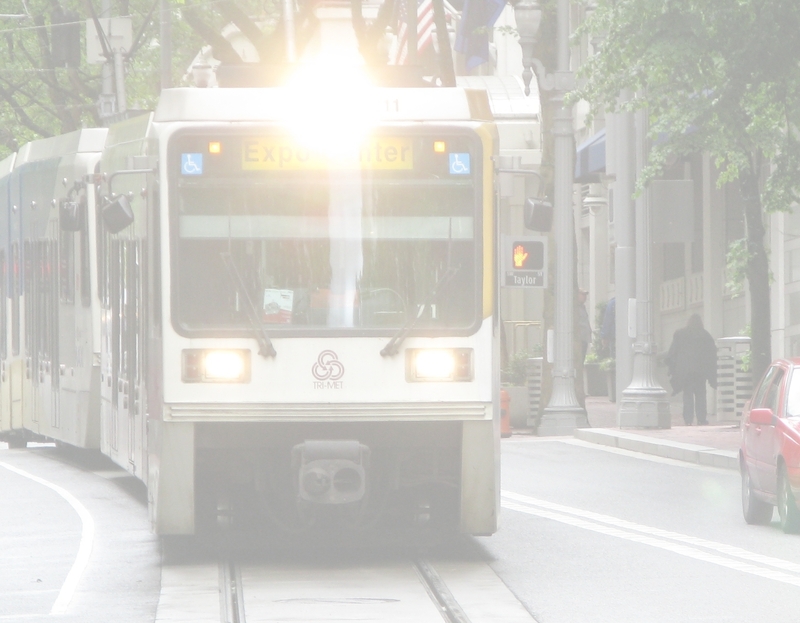 In a manual block, most of the rules that apply to trains running reverse traffic will also apply to those running normal traffic. For one thing, travel in both directions of a manual block will be done at restricted speed, unless otherwise instructed by Control. 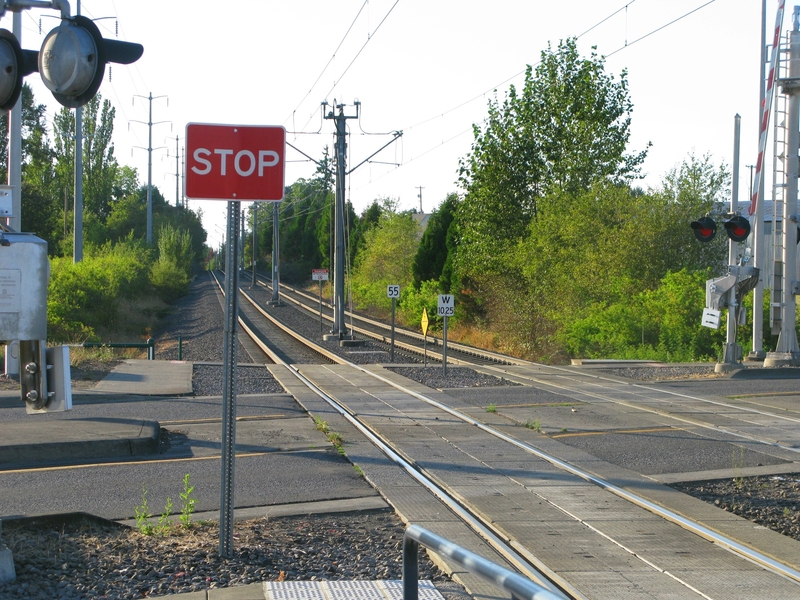 If there are switches in the manual block, operators in both directions will be required to stop and observe every set of switch points before proceeding, regardless of whether the switch points are facing toward the train or away from the train (as seen in the above picture). 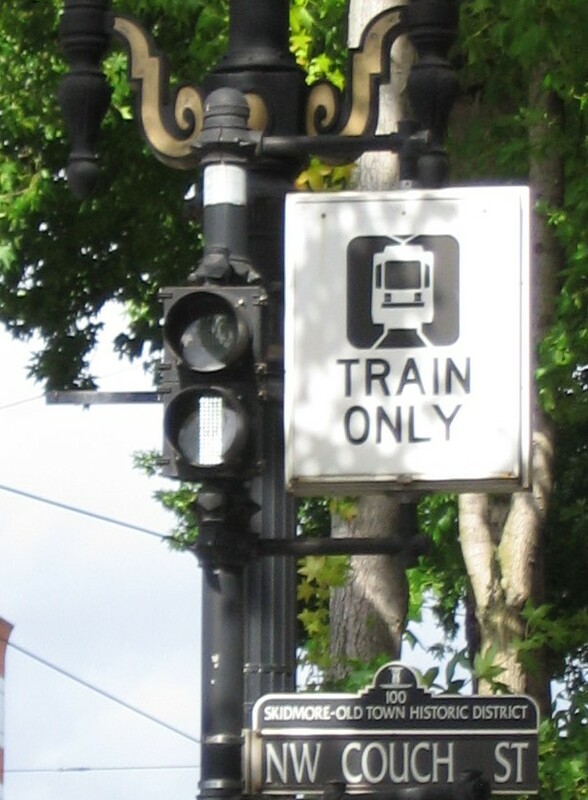 A planned manual block will have a written train order, but operators about to enter a manual block, whether planned or unplanned, will still call Control before they enter to receive specific instructions. The instructions will have to be repeated back word for word, which ensures that there is no misunderstanding of the instructions, since manual blocks have the potential to be extremely dangerous. 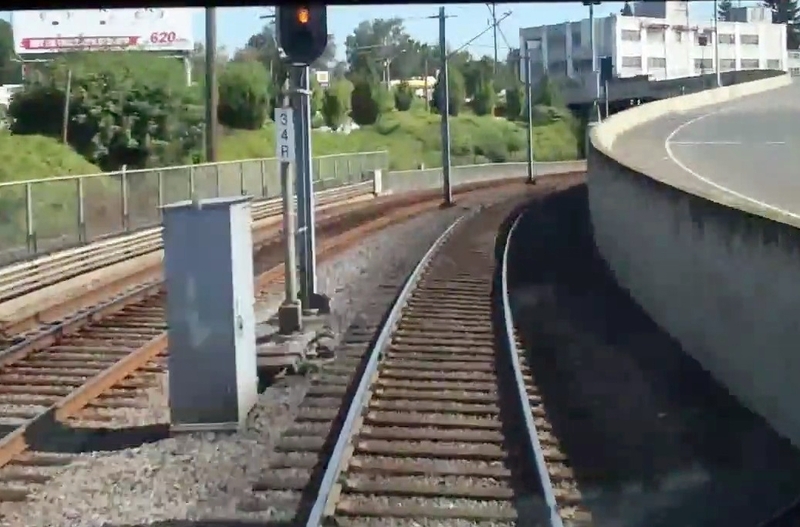 Even at 20mph, a train splitting a switch (making a trailing move over a power or t-rail switch that isn’t set for you) or hitting another train can cause serious damage. 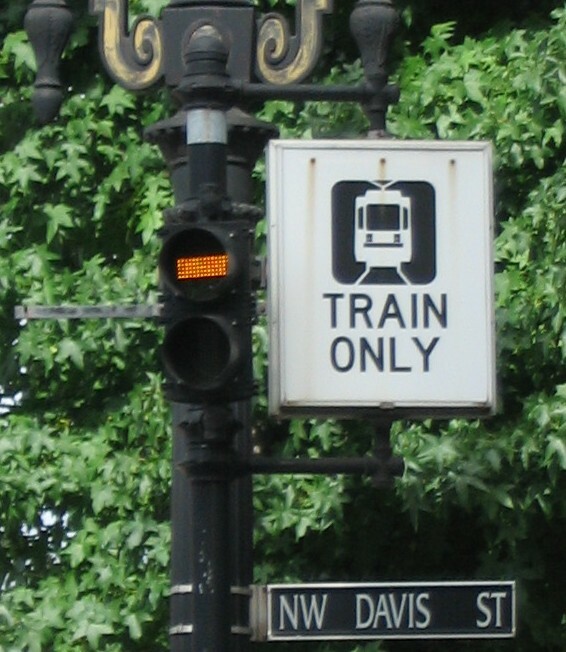 The specific details of the instructions may vary depending on where the manual block is and why a manual block is in effect – for example, a planned manual block may have pullback operators to pull the train through crossover switches so that the operator of the train doesn’t have to change cabs. 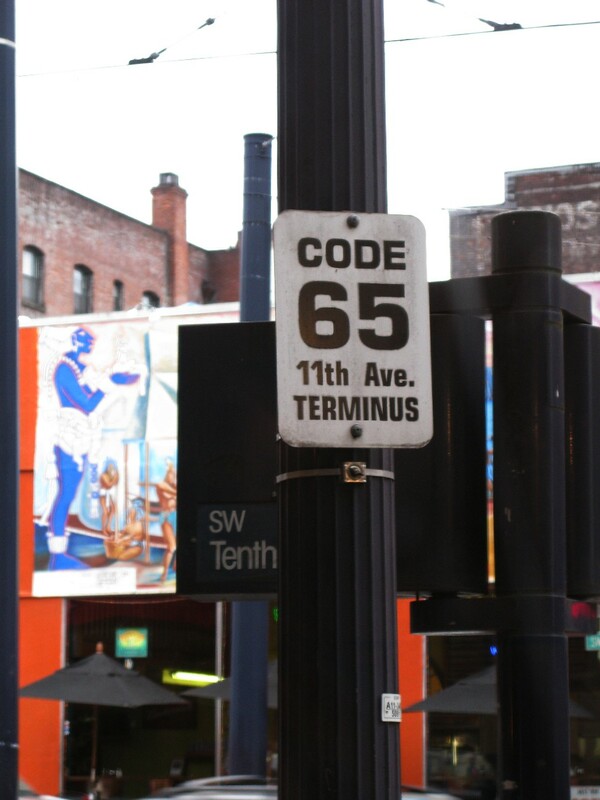 Previously, a “medallion” system had been used for manual blocks. 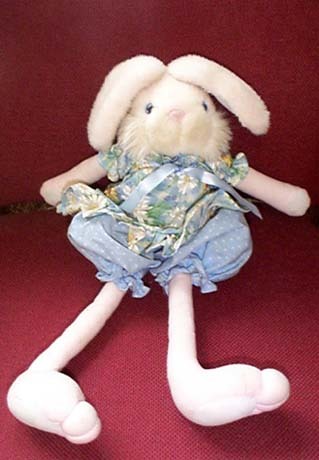 A medallion was an object such as a stuffed animal (like the rabbit) that would be passed off to a train as it was about to enter the block. If you didn’t have the medallion in your possession, you would not enter the block. Nowadays that system isn’t used. Instead, a clearance sheet is used to record all train movement in manual blocks. This written record details the movement of all trains into, through, and out of the block, ensuring that only one train is in the block at a time. Once an operator is clear of the block, he or she will call Control. Their train will be recorded on the clearance sheet, and the operator will then be able to resume normal operation. The next train will then be cleared to enter the manual block. This process continues for the duration that the block is needed. 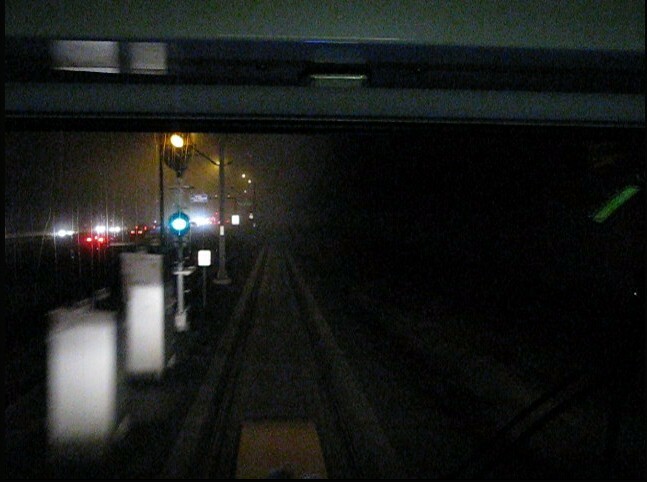 At that point, Controllers and supervisors will ensure that all trains are clear of the manual block and that all switches are aligned normal and locked. 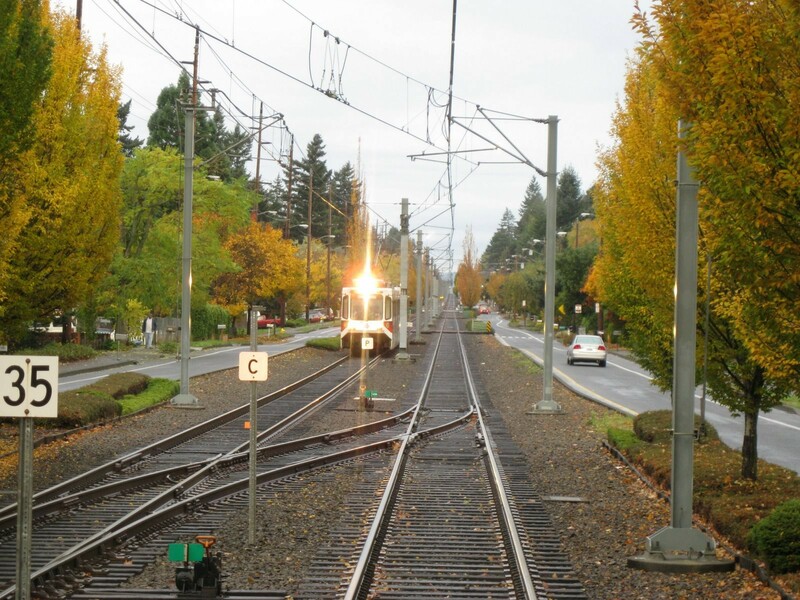 The first train through the track that had been out of service may be asked to sweep that section of the alignment, especially if the manual block was due to an emergency, and then following trains can operate as normal.